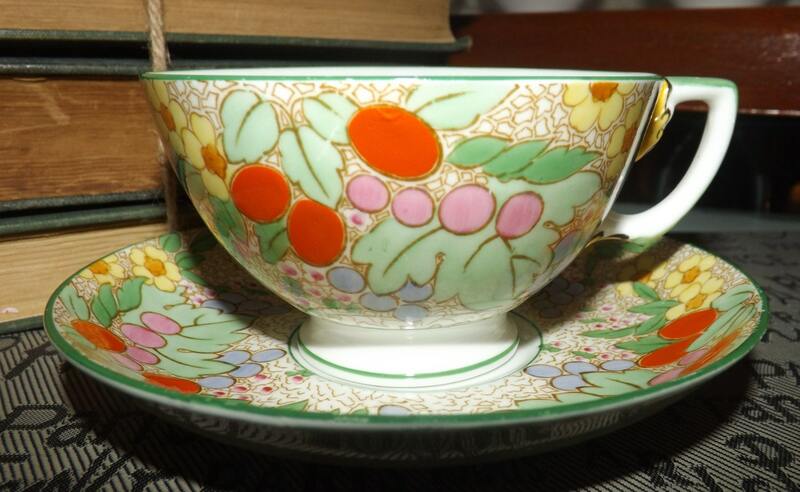 Almost antique (1920s) Adderley | Adderley Ware 08937 hand-painted art-nouveau tea set (flat cup with saucer). Stylized blooms berries. 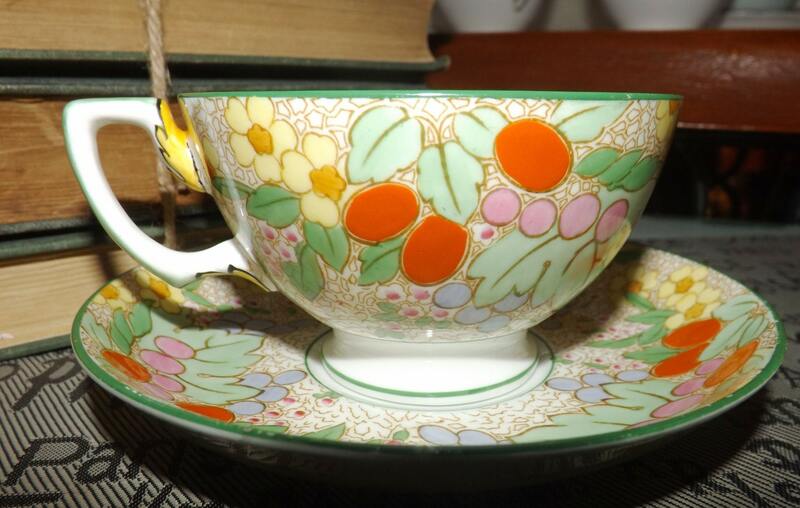 Almost antique (mid to later 1920s) Adderley 08937 hand-painted, art-nouveau inspired tea set (flat cup with matching saucer) featuring oodles of stylized orange, pink and yellow blooms and berries with a green enamel edge. 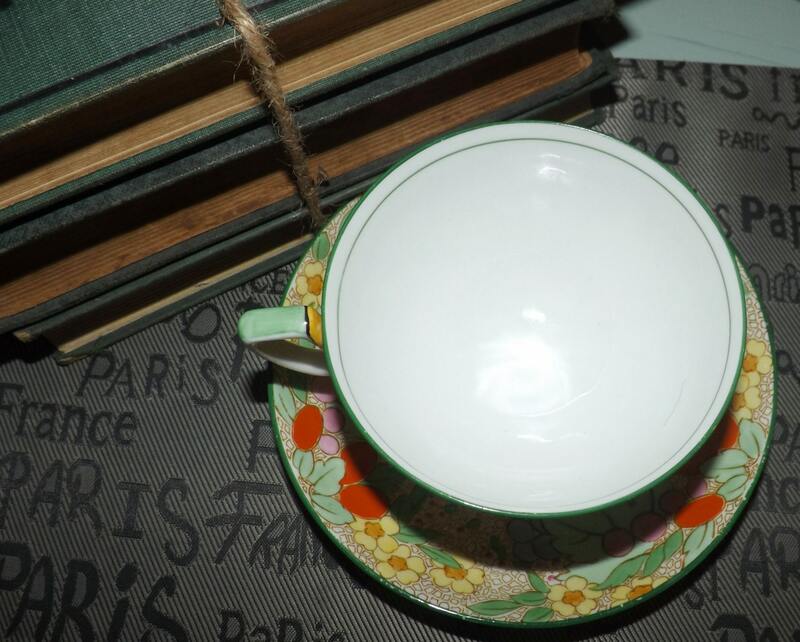 There is a beautiful, lightly embossed yellow petal accent to the cup handle - look again at photos 1 and 2! 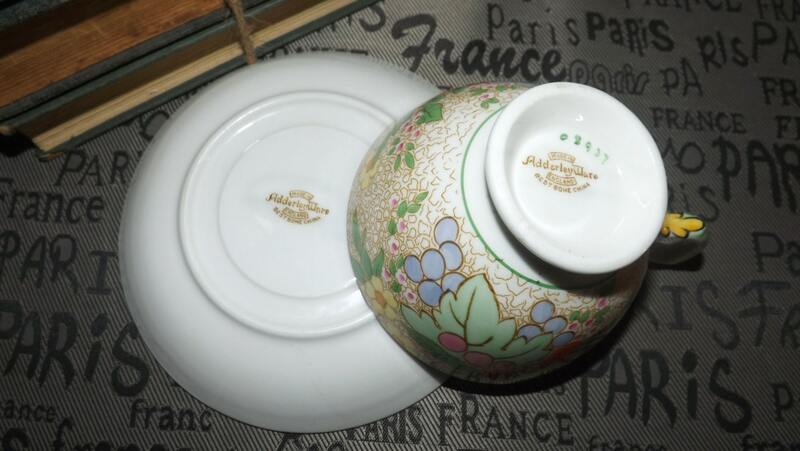 and a broad, floral chintz-like verge to the accompanying saucer. 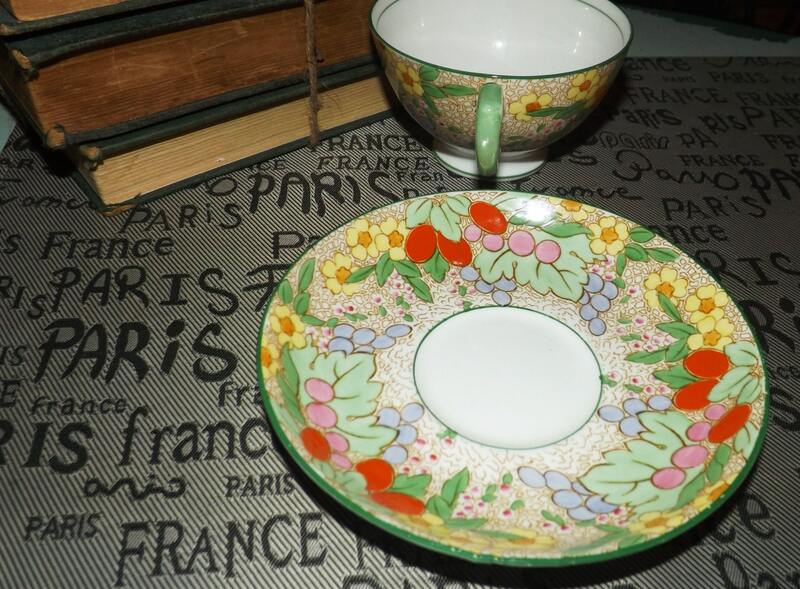 This is a beautiful art-nouveau inspired tea set (being manufactured just at the time when art nouveau was on the way out and art deco, with its more streamlined, less floral styles was on the way in) in EXCELLENT! condition with NO! chips, nicks, cracks or fleabites, NO! crazing and NO! marks, stains, or scratches. There are some a few very small spots of rub-off to the green enamel edge (please review the posted photos) but they are indeed FEW and WEE. The hand-painted florals are bright and vivid with NO! fading or rub-off. Artist's brush mark and 08937 to base of cup. Wonderful mom gift!